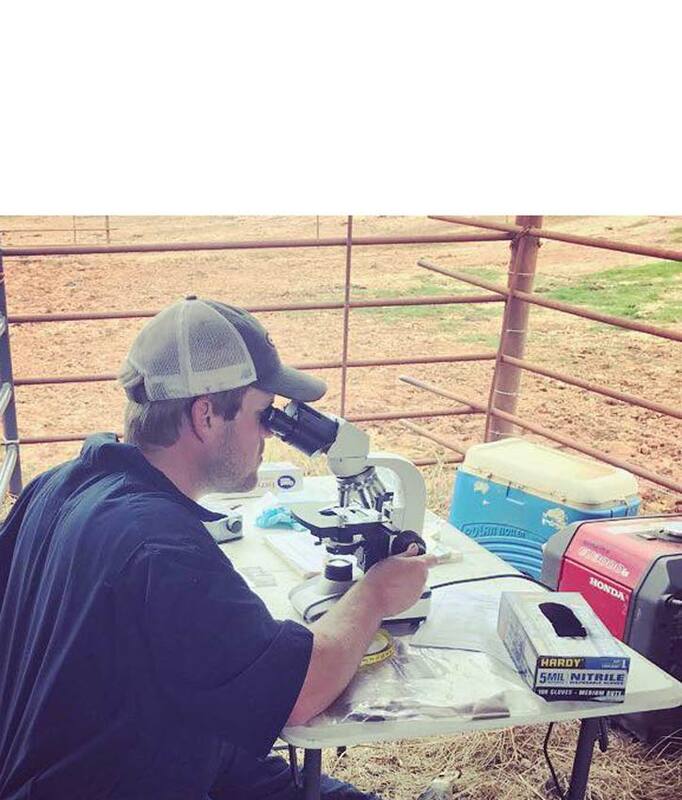 "I think the most rewarding thing about raising beef cattle and being part of agriculture in general is the opportunity to have an impact on consumers’ lives across the globe on a daily basis when they consume your finished product." Tell us about getting started in the cattle business. What was that experience like and what were some of the challenges of being a young producer? Thankfully, Emilia and I both grew up in the cattle business with each of our families being cattle producers for all of our lives. This prior experience gave us the opportunity to learn the production system in a relatively low-risk environment. We first decided to get into cattle ownership ourselves during our first year of marriage – two years ago. We were both spending a significant amount of time working on the family farm in Cave Spring, and we wanted something to show for our work there. My father and grandmother were willing to allow us to pasture cattle with the rest of the herd in exchange for our routine work on the farm. We decided to make an initial investment by purchasing three bred heifers from Potts Brothers Farm at the Commercial Female Sale at the Georgia Cattlemen’s Convention. The biggest challenge to getting started was the delay in cash flow and the risks that come with working with live animals. Our first revenue from those animals did not come until a year and half after the initial purchase. Today, we have 12 females running with the Jackson Farms herd and look to expand that number yearly until we are able to purchase our own land to farm on a regular basis. My favorite days on the farm come when we have the opportunity to gather as a family to work the cattle. I have a large family and while none of them work in agriculture on a daily basis they all enjoy coming back to be a part of the operation from time to time. What’s more, my brothers’ children like to be around the cattle and you can find them recording weights or opening and closing gates while we are working and that gets me excited about the future. While you hear about so many families that are broken and torn apart, it makes me proud when we can all be back together working as a group just the way it has always been. Will each of you describe your full time jobs and their roll in agriculture and the beef industry? Cleve: By day I work for Bayer Animal Health as a sales representative calling on cattle customers in Georgia and Alabama helping producers and veterinarians decide on the best products for their cattle. This is a relatively new job for me as I spent my first few years out of college in the poultry industry. In my opinion, animal health companies play a vital role in the success of the farmer and agriculture in general. It is exciting to have the opportunity to bring new and needed solutions to farmers and to work with them to make productive decisions for their operations. Emilia: During the day, I work as the Agriculture Teacher and FFA Advisor at Pepperell High School in Lindale, GA. Interacting with students, I have the opportunity to build relationships and help them connect the dots from the farm to the grocery store. While not all of my students will pursue careers in agriculture, I take pride in helping many of them understand the importance of agriculture in their lives and in the world around them. What is the most rewarding thing about raising beef cattle? I think the most rewarding thing about raising beef cattle and being part of agriculture in general is the opportunity to have an impact on consumers’ lives across the globe on a daily basis when they consume your finished product. In 2017, Jackson Farms sold over 35,000 pounds of live cattle. Granted not all the cattle were ready for processing, but based on a 65% dressing percentage, we produced over 123,000 three-ounce servings of beef last year! I think we as cattle producers sometimes take for granted that the calf we see in the pasture grazing becomes nourishment for someone else down the line. That is the best story we can share. As a result of what we do, people eat on a daily basis and for that we are proud and thankful! 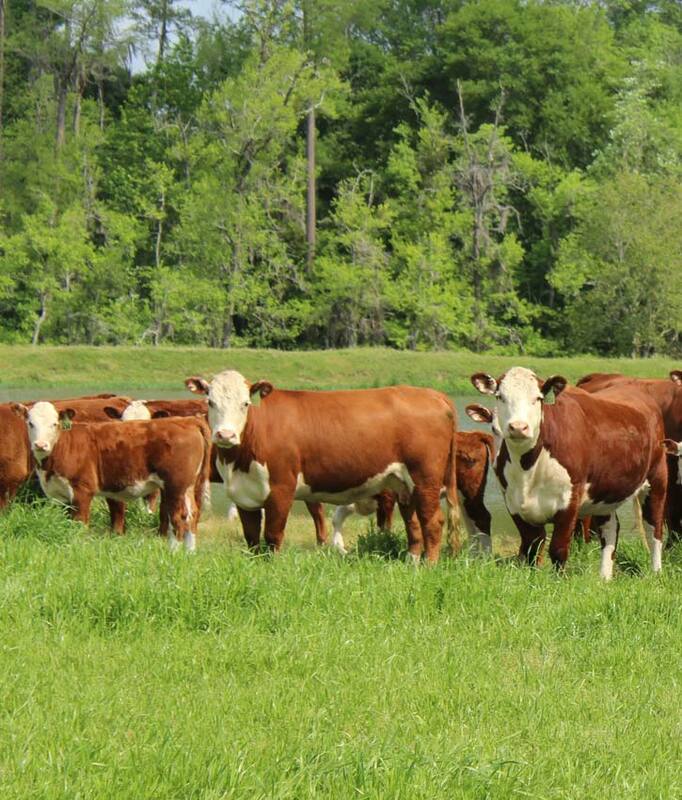 What advice would you give to someone who wants to become a beef producer? Be patient. If you are truly considering a jump into beef production you need to understand that it is not going to happen quickly, and it is not going to go right the first time. You will have a cow lose a calf. You will have animals that will not breed like you would like. The weather will drive you crazy, and the market will sometimes move in the wrong direction. We have had all that and more in just our first couple of years of ownership. However, when I think about why we got into the business, I am thankful. Thankful for the opportunity to raise food for people on a daily basis. Thankful for an opportunity to work the land and animals that God gave us. Know from the beginning that you are in it for the long haul, and you will make it. Be patient, be thankful, and work hard. Good things will happen to you. Cleve: Without a doubt my favorite cut of beef is the Ribeye steak. It is hard to be the flavor of a freshly grilled ribeye on the Big Green Egg. Pair it with a loaded baked potato and a cold Diet Coke and I just might think I am in heaven! Emilia: Ribeye cooked by Cleve beats any cut at any restaurant! Do you use vaccines and antibiotics? Tell us about your protocol and why this is important to your operation. First and foremost, I think you always must have the health of the cattle on the forefront of your mind in everything you do. I believe that every health program (both animal and human) should start with preventative measures. We utilize an extensive vaccination program that should establish a strong immune system in each of our animals from the start. Looking at the calves first, each calf will be vaccinated at least three times before it leaves the farm. Because we are backgrounding our calves to 700-800 pounds after weaning, the buyers request that each animal has two rounds of modified live vaccine post weaning. While it does require additional labor and time on the farm, this has without a doubt added value to each calf sold. However, from time to time, we do have animals that require treatment. We feel like it is our duty to do everything in our power to care for our animals especially when they get sick. Under the supervision of a veterinarian who has knowledge of the situation, we will use an antibiotic treatment to help our animals get better as quickly as possible. However, in those circumstances we will pay close attention to the timing of treatment to ensure that antibiotic has cleared the appropriate withdrawal time before the animal enters the food supply. In addition to antibiotics and vaccines, from a sustainability standpoint, we feel that there are other management practices that help produce meat more efficiently. We will use hormone implants in our steer calves that increases the amount of weight on each calf by as much as thirty pounds while only increasing the amount of hormones in a three ounce serving of beef by 0.4 nanograms (a miniscule amount). In addition, our weaned calves will receive a supplemental feed that contains an ionophore. Ionophores are a class of antibiotics only used in animal medicine to treat coccidiosis which naturally occurs in all environments. Tools like these allow us to feed more people while utilizing less resources which leads to a more sustainable production system. Overall, herd health is something we take very seriously and is probably the most important key to success of our operation. Tell us about a normal day at your farm. I wish that we could describe any day as normal. Right now (currently March), the sun is shining and the days are getting longer which means the grass is growing again. We are almost finished with calving season (December-March) and just getting started breeding (March-May). With the grass growing, we no longer have to feed hay on a daily basis but because we are in a key nutritional phase for the cows – recently calved, nursing a calf and trying to get bred back – we provide a high protein supplemental feed to the cows routinely. On our farm, we like to take this early springtime period to build new fences and repair old ones. Proper fencing is key to success as it allows you to better utilize the grasses you have grown for your animals. During this time we will also be preparing fields for heavier grazing and hay cutting by fertilizing pastures and spraying weeds. Most importantly we watch the animals for any kind of sickness as the fluctuations in weather can sometimes cause calves to have problems. Soon we will begin working the herd for the last time before the hot summer months arrive and make it difficult to move the cattle comfortably. On our farm where we are all working other jobs, we take time during the week to do the everyday activities – check and feed cows – and then use the weekend to dive deeper into other projects – fence-building, cow-working, hay-cutting. While the days can get long and tiring, we wouldn’t trade this life for anything in the world!